Williams could lose red-zone touches following Saturday's signing of Carlos Hyde, Adam Teicher of ESPN.com reports. Chiefs general manager Brett Veach said the starting job at running back is Williams' to lose, Brooke Pryor of The Kansas City Star reports. Williams carried 10 times for 30 yards and a touchdown during Sunday's 37-31 AFC Championship Game overtime loss to the Patriots. He also caught five of eight targets for 66 yards and two more touchdowns. Williams ran for 129 yards and a touchdown on 25 carries and added 25 yards and five catches during Saturday's 31-13 win over the Colts. He was seen on the sideline having his feet and ankles taped up, but he stayed in through the Chiefs' final drive. Williams will start Saturday versus the Colts, Brooke Pryor of The Kansas City Star reports. 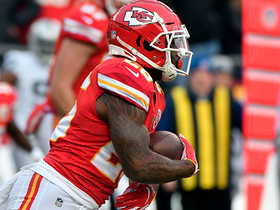 Analysis: Spencer Ware gave it the old college try in effort to play for the first time since Week 14, but his hamstring didn't pass the requisite tests during a pregame warmup. 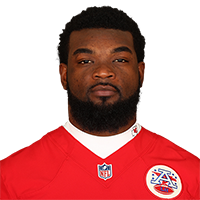 With inactive status confirmed for Ware, Williams will work as the Chiefs' lead back, which previously translated to 48 touches for 322 yards and four TDs in three games to close out the regular season. Behind Williams, fellow running backs Darrel Williams and Charcandrick West will receive any reps that linger. Williams picked up 51 yards and a touchdown on 11 carries and caught one pass for eight yards during Week 17 against the Raiders. Analysis: Williams has emerged as a key piece for the Chiefs out of the backfield with Spencer Ware (hamstring) sidelined, and he'll likely factor into the Chiefs' playoff plans after averaging 6.0 yards per carry and notching three rushing touchdowns and four total scores in the final three games of the season. He's also proven to be a capable receiver, snaring 18 passes for 135 yards and two scores over the final four contests. Consequently, Williams could be a sneaky option in playoff pools. 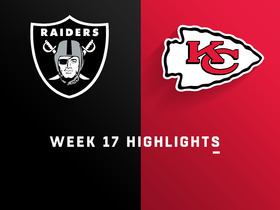 With Spencer Ware (hamstring) inactive, Williams is in line to head Kansas City's ground game Sunday against the Raiders, BJ Kissel of the Chiefs' official site reports. 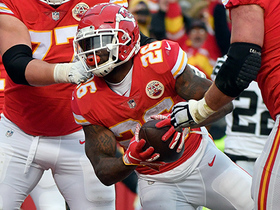 Analysis: Charcandrick West and Darrel Williams are on hand to see complementary work in the team's Week 17 backfield, but with Ware still out, Damien Williams is in a good spot to produce against an Oakland defense that hasn't been strong against the run this season. Williams signed a two-year extension with the Chiefs on Thursday, Terez A. Paylor of Yahoo Sports reports. Analysis: The Chiefs rewarded Williams for his strong work in the wake of Kareem Hunt's release and Spencer Ware's injury. 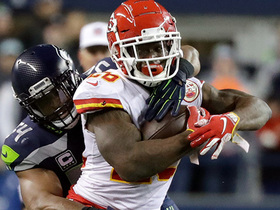 Since taking on a larger role after the Chiefs' bye, Williams has averaged 5.7 yards per carry while adding 19 receptions and five touchdowns from scrimmage. 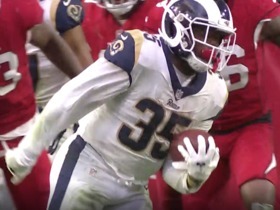 He'll be a part of the Chiefs' backfield plans moving forward, but this signing won't preclude Kansas City from exploring other options at running back through free agency and the draft. Williams carried the ball 13 times for 103 yards in Sunday's 38-31 loss to the Seahawks. He also added seven receptions for 37 yards and a touchdown. Williams is positioned for a sizable workload Sunday against the Seahawks with teammate Spencer Ware (hamstring) listed as doubtful for the contest, Field Yates of ESPN reports. Williams rushed 10 times for 49 yards and two touchdowns and brought in all six of his targets for 74 yards in the Chiefs' 29-28 loss to the Chargers on Thursday. Williams will start Thursday night's game against the Chargers, BJ Kissel of the Chiefs' official site reports. Analysis: Williams' expanded role in the team's Week 15 offense is due to Spencer Ware (hamstring) being inactive. Darrel Williams and Charcandrick West (active for the first time this season) are on hand to provide backfield depth for the Chiefs on Thursday night. Williams is likely to serve as the Chiefs' top backfield option Thursday night against the Chargers, with Spencer Ware (hamstring) inactive for the contest, BJ Kissel of the Chiefs' official site reports. Analysis: Darrel Williams and Charcandrick West are also in the team's backfield mix Thursday, but in Ware's absence Damien Williams figures to have a path to double-digit carries, in addition to a degree of involvement in the Kansas City passing game. It's a context that makes him a worthy Week 15 lineup roll while working within the framework of the league's highest-scoring offense. Williams is likely to serve as the Chiefs' top option out of the backfield Thursday against the Chargers with Spencer Ware (hamstring) listed as doubtful for the contest, Field Yates of ESPN reports. Williams accounted for 14 yards and one touchdown on eight carries, adding four catches for 16 yards and a receiving score during Sunday's 27-24 win against Baltimore. Williams logged 19 of a possible 71 snaps on offense in Sunday's 40-33 win over the Raiders, en route to recording five carries for 38 yards and catching two passes for seven yards. Analysis: Meanwhile, Spencer Ware started at running back for the Chiefs on Sunday and rushed for 47 yards and a TD on 14 carries. Going forward, Williams is in line to see complementary work behind Ware, but his upside is modest, with the team expected to sign Charcandrick West, who has plenty of experience in the Kansas City offense. 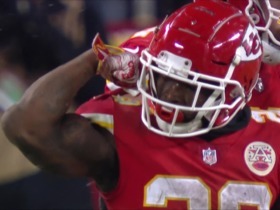 Kansas City Chiefs running back Damien Williams highlights from Divisional Round vs. the Indianapolis Colts. 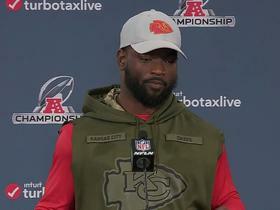 Kansas City Chiefs running back Damien Williams addresses the media ahead of his team's AFC Championship matchup against the New England Patriots. 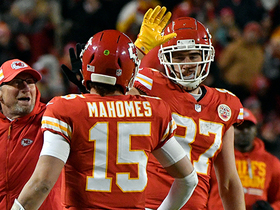 Kansas City Chiefs running back Damien Williams talks about his quarterback Patrick Mahomes' jump shot. Kansas City Chiefs running back Damien Williams rushes for a 4-yard touchdown. 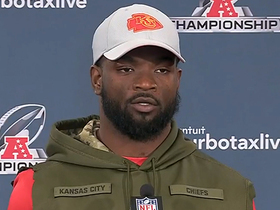 NFL Network Insider Ian Rapoport reports the Kansas City Chiefs and running back Damien Williams agree to 2-year extension. 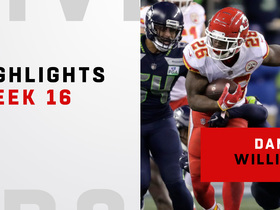 Watch the best plays from kansas City Chiefs running back Damien Williams 140-yard night from his Week 16 matchup against the Seattle Seahawks.